Create silly pet rocks, Kindness rocks and more with this big pack! 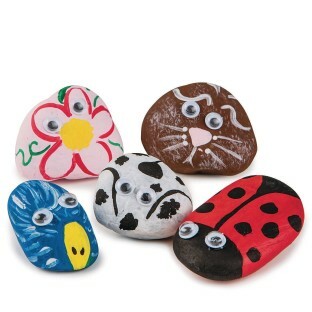 Paint and personalize real stones in silly styles, create Kindness rocks and more. Kids will love bringing their imaginative creations to life. 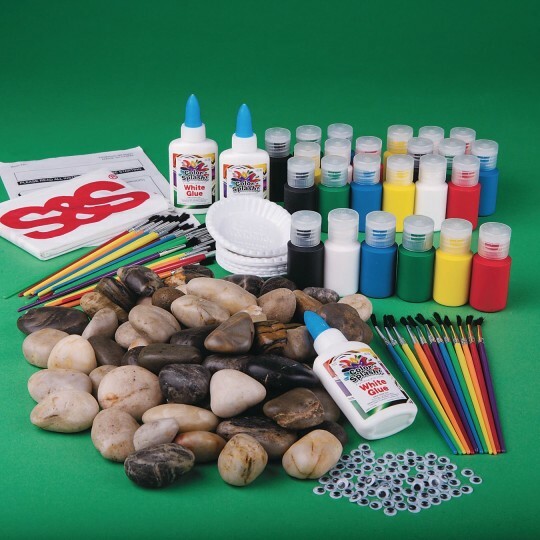 Includes assorted stones (approx. 4.4 lbs. ), wiggly eyes, paint, glue, brushes and instructions.